VETERINARY PREGNANCY TESTING - WHY DO IT? In any beef cattle enterprise, the continual identification of unproductive stock is essential to ensure ongoing herd productivity. One way to make sure you are keeping only reproductively sound animals in your herd is to implement annual pregnancy testing. Pregnancy testing allows you to accurately identify not only pregnant cows but also unproductive females that can be culled from the herd. In many cases, your veterinarian can give you an approximate foetal age and likely calving date following rectal palpation. Overall, this will aid in general herd control and managing your calving spread. Importantly this allows you as a producer to utilise periods of high pasture availability, produce early maturing replacement cattle and reap the economic benefits of uniform weights at sale. Various infertility issues, diseases and management problems affecting the whole herd can also be identified much earlier, reducing negative economic impacts. Generally, the most convenient time for handling cows is at weaning and pregnancy testing can easily be organised to coincide with this. 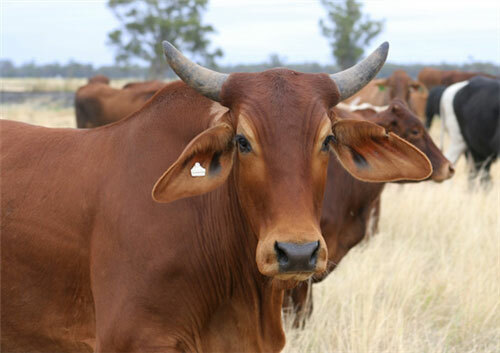 Ideally cows should be pregnancy tested at least eight weeks after the bulls are taken out and before the dry season (Feb- April), where pasture availability will be low. WHAT IF I DON'T PREGNANCY TEST? Some producers choose not to pregnancy test on the grounds of cost. Instead, they may choose to either detect pregnancy by monitoring return to heat or simply seeing how many calves drop! Although this may seem like a money saver, if you happen to have bull issues or a reproductive disease outbreak during that time, by not detecting the problem early you are simply hanging onto empty cows for an extra 6-12 months. Costs associated with feeding empty cattle often out weight the costs of a getting a veterinarian to pregnancy test your herd. Non-pregnant cows are unproductive and should be removed from the herd. Pregnancy testing is a cheap and convenient method of identifying empty cows at an early stage. Pregnancy testing can also identify herd fertility problems, enabling earlier investigation and action than would otherwise be possible. It is an essential process to implement into your annual herd management system so reap the rewards and get your herd tested this year. Contact us to book in your pregnancy testing this season!